I was going to post a pattern for a Hello Kitty purse I made for my girl students at work but I found this crochet doll house on a blog I follow and thought it would be a better freebie. 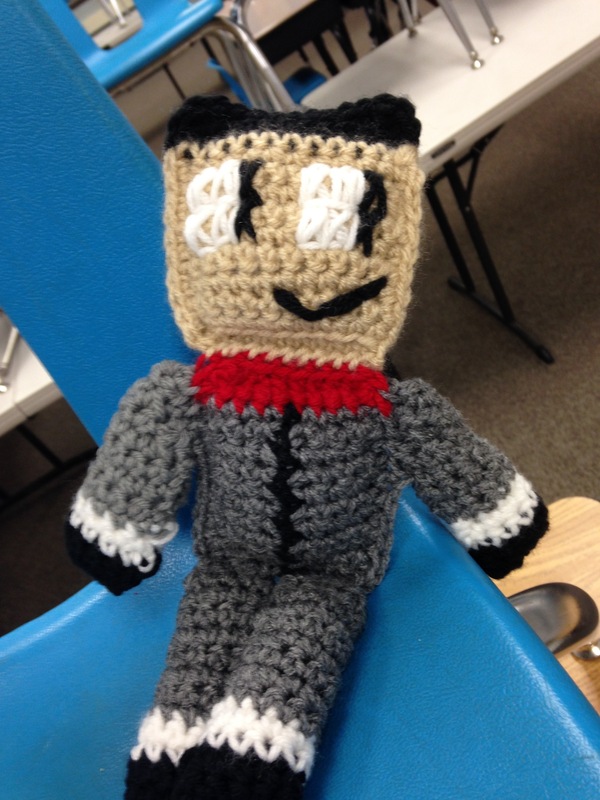 The blog itself is fabulous for making dolls. I discovered it a few years ago before I even knew what blogging was and was smitten with her creations. I am very inspired by her work. Hope you enjoy her doll house as much as I did. I think the kids at work would absolutely love it if I made them a crochet doll house! You can either go to her blog and see her post or go to her Flickr page to get a picture tutorial. I wasn’t sure what I was going to do with the new doll I made but decided I wanted a Christmas theme going. I went through my yarn stash hoping to find something sparkly or shiny in red. I found something shiny and thick in purple instead. It seemed festive so I grabbed it. Next, I couldn’t decide on how I wanted the hair to look and the more I stared at the unfitted doll, the more I wanted her to have a hat. I made the hat first (before adding hair) and made it poofie. I definitely wanted a pom-pom. That’s what made it festive for me. I wanted to add a white fringe to it that looked fluffy and tried many different yarns. I made and unmade the fringe over and over until I found a yarn I thought worked with the purple yarn, the hat, and the doll. 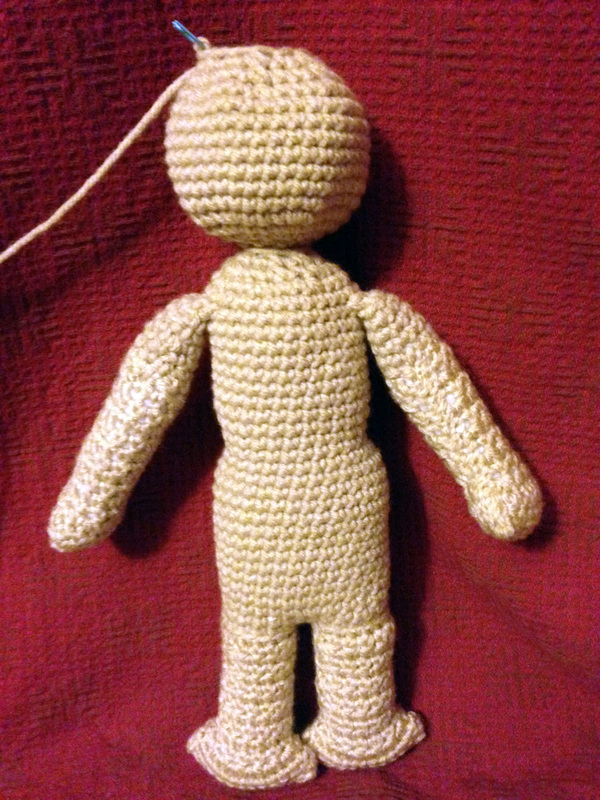 By the time I finished the hat and placed it on the doll, I liked it and now I’m not sure if I want to add hair. 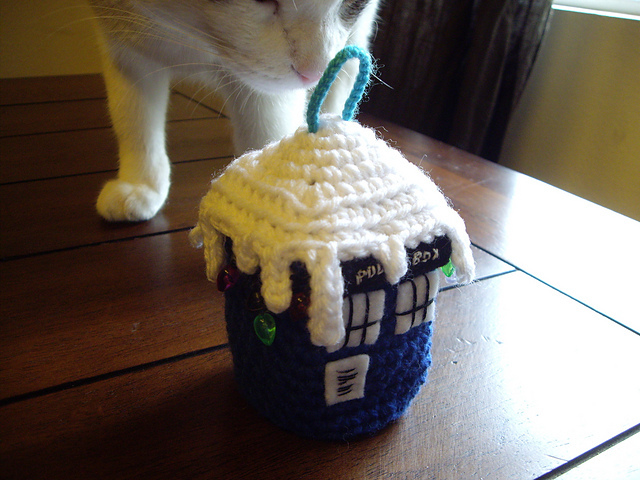 I haven’t been crocheting at home lately. The bulk of my projects have been at work. By the time I get home, I make dinner, watch a little news, and fall asleep. Playing with kids all day is exhausting! Every now and then I feel guilty that I have abandoned all my projects and I pick up my crocodile stitch cloak I’ve been working on (forever) but that’s been about it. Then, while I was working on my computer, out of the corner of my eye, I saw one of my craft bags. In my craft bag I saw crochet limbs through the mesh side pockets. I’ve been seeing those limbs for months now but they hadn’t caught my attention…until now. I had to make a body for those limbs asap! I don’t know why I become obsessed with certain crochet projects at certain times but when I do, I just go with it. I had two sets if disembodied arms and legs. One leg was already stuffed. I couldn’t find the exact color of yarn to match the parts but I had something that was close enough. 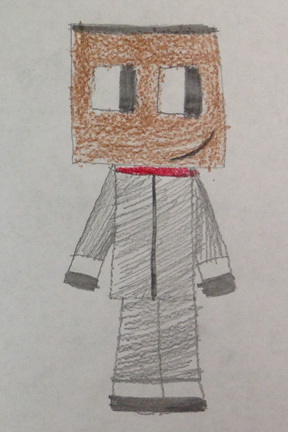 Instead of making the separate body parts like I usually do, I felt bold and decided to try something different. I attached the new yarn to the opening of one of the legs and single crocheted around. Before finishing the round, I picked up the other leg and crocheted around that one and then single crocheted a tube for the body. A little shaping in the waist area with some decreases and I was on my way to finishing the body. After a few more decreases in the neck area, I had to decide if I wanted to keep going and make the rest in one piece or stop and make the head separately. I opted to keep going. I can’t see anything! Where’s my face? I’m not sure what I want this one to look like yet but she (my dolls tend to be girls) did get a face. Now I need some clothes! Hopefully she won’t wait too long to grow some hair and get a wardrobe! I know we haven’t even gotten to Thanksgiving yet and I’m already on to Christmas but in order to get everything done on time, the time to start is now! 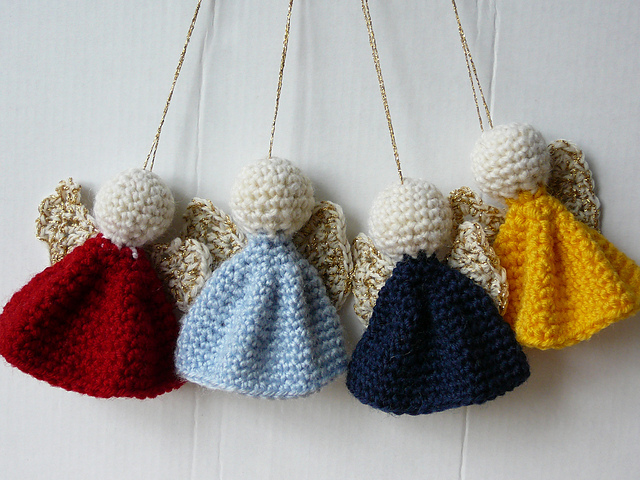 Here are some adorable tree ornaments that I would like to try this year. They look super easy and super cute. And just because I love Doctor Who. Both patterns can be found on Ravelry Ravelry is AWESOME! I found these at the Moogly site below. There are 10 Christmas patterns but these were my favorite. 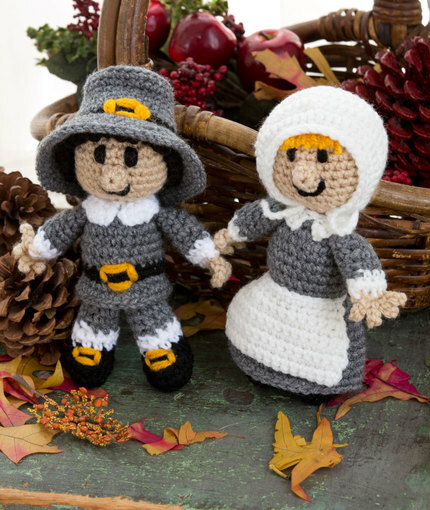 Since I love dolls, I thought a cute pair of pilgrims would make an excellent Friday Freebie. I found these cuties on the Red Heart web site. They have a ton of great patterns. These two seem like they’ll be fun to make. 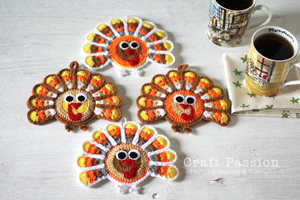 The link to the pattern here! 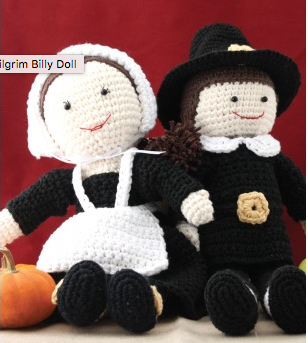 Links to patterns: Pilgrim Billy Doll, Pilgrim Lily Doll. But what’s Thanksgiving without a turkey. I might actually make these. Pattern can be found here! 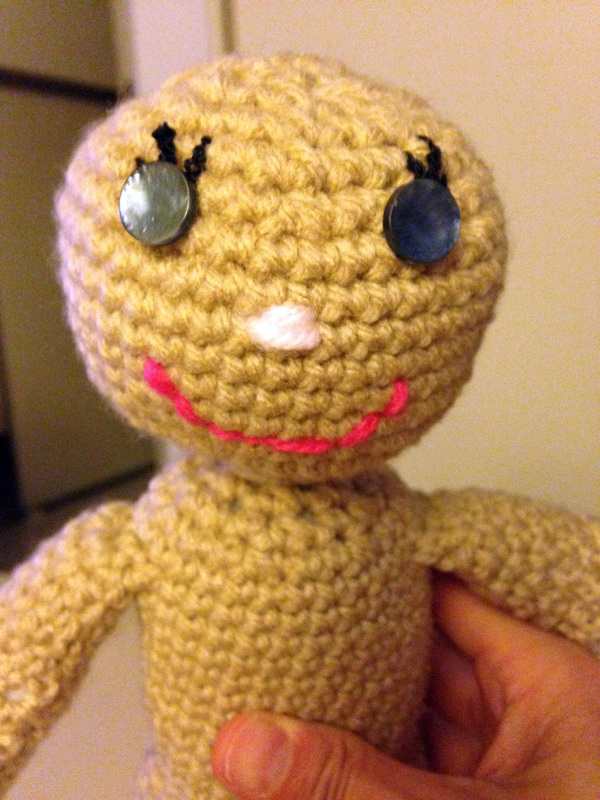 I’ve been busy making more crochet rag dolls for the kids at work. They have really gotten into the spirit of the thing and requested all kinds of different dolls. Of course, trying to tell them that the point of making these dolls is to keep it simple hasn’t quite sunk in. After all, my hope was to actually be able to finish them in a timely fashion (as opposed to some time next school year 🙂 ). I’ve been reigning in their requests to something I can actually accomplish. The second request was a Chris TDM YouTuber thing I had never heard about. I did gather it had something to do with Minecraft. I asked the student to draw it while keeping in mind the parameters of the rag dolls: Square, rectangle, etc. He drew this!